Wedding memories need a framework from which you can hang all the warm feelings and bubbles of happiness that the day creates. Warm memories that make you smile on grey days in the future don’t happen by accident. Our brides spend a lot of time and effort working out every small detail. This ensures that the reality matches the memories they want to create. Happily, there is a lot of help and infrastructure to ensure that this happens the way they want. Your priest and the church are essential elements of the big day. Alternatively, the Registrar or Independent Celebrant you choose to perform your civil service. Then the venue for the wedding breakfast and reception which will be the background to all your memories. Remembering a wedding is remembering the venue because only it contains all the elements that make up those warm feelings. There are wonderful, magical venues in the New Forest, some of which have incredible views and very private situations. Also, there are many very friendly, warm professionals whose mission in life is to make brides happy on the day. Their skills are the glue holding together the building blocks of guests’ experience, creating glowing memories that transcend ordinary life. The look and atmosphere they create transports the guests into the bride’s vision giving the wedding memories a sheen like no other life event. 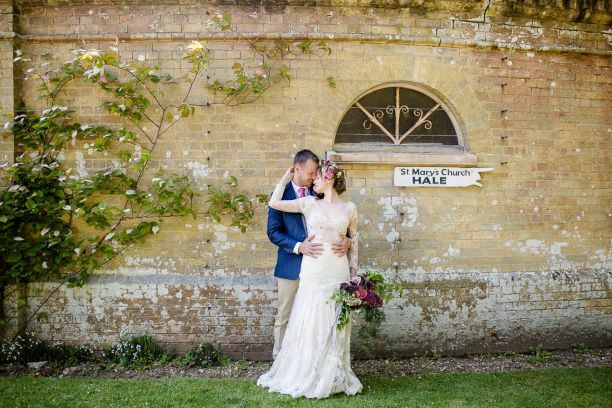 New Forest and South West photographers, stylists, dress designers, cake designers, flowers, hair and make-up, stationers and the quirky extras like gin trucks, pizza vans and off the wall DJs and hatters are second to none here. And I haven’t even started on the award-winning food and catering or event organisers! These talented individuals are not merely satellites circling around the sun of the bride in their own orbits. They have worked together in the past, creating many gorgeous events over many years. 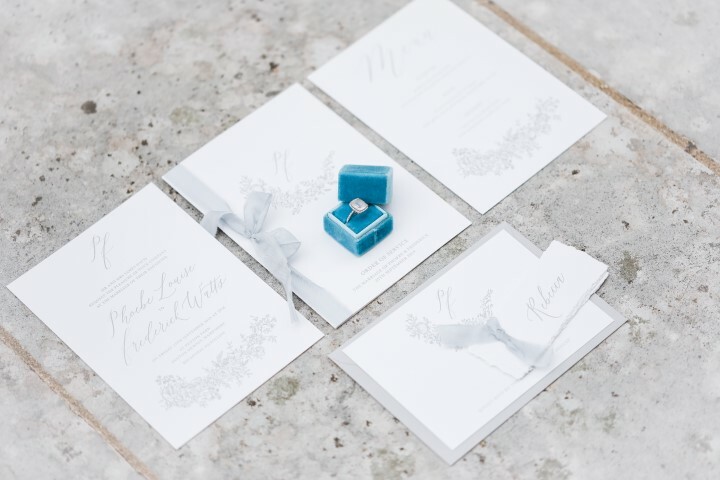 They intertwine and flow together as a river of creativity and style enveloping a wedding in all the little elements that make up the beautiful whole. The beauty of the creative people in the New Forest is that they are friends as well as colleagues and this shows through strongly in the memories that they help to create at Hale Park Weddings. With thanks to Lydia Stamps Photography for our title image, captured outside Hale Park, a short walk to St. Mary’s church as the sign on the wall shows. ⟵Autumn wedding memories made by warm colours and soft light.